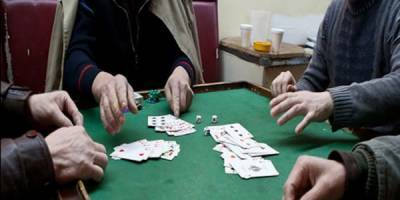 *KARACHI - *A Police officer's brother has been arrested for running a gambling den at Masan Chowk in the Keamari locality of Karachi. He has been running the gambling den as its head. According to Law Enforcement Agencies (LEA), the arrested suspect, identified as Zahoor, was found to be the brother of Jan Muhammad, a local sub-inspector. Senior Superintendent Police (SSP) Dr Samiullah Soomro noted that the suspect, who was the leader of the den, was running the den from his residence.